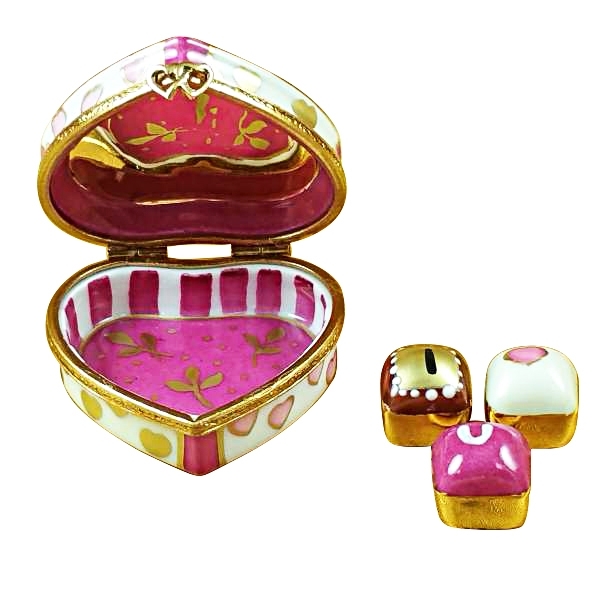 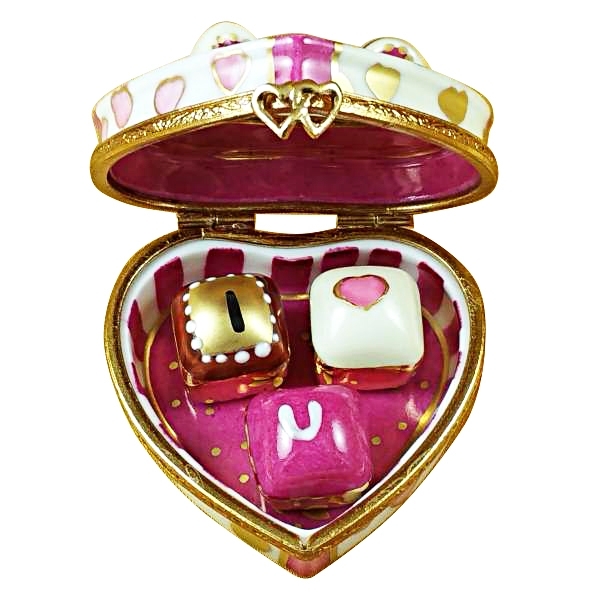 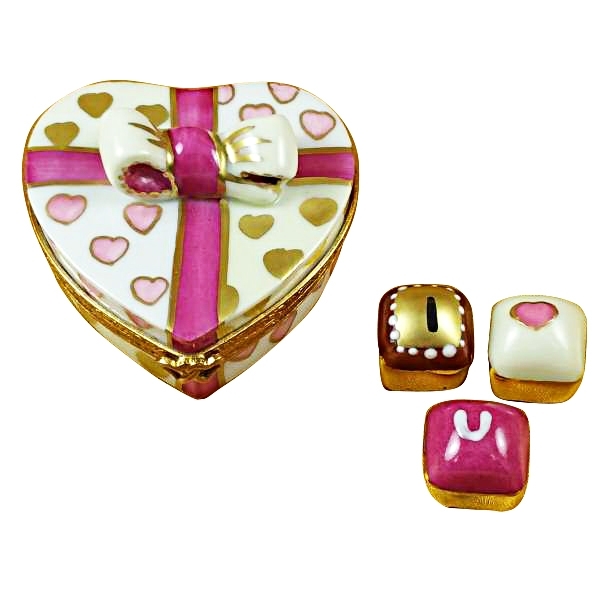 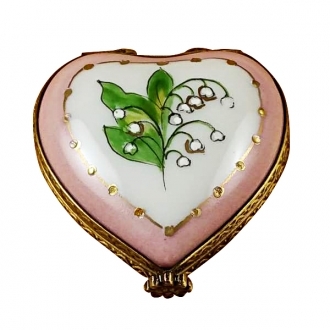 PINK HEART WITH THREE CHOCOLATES - Limoges Boxes and Figurines - Limoges Factory Co. 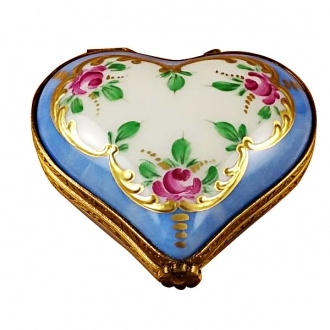 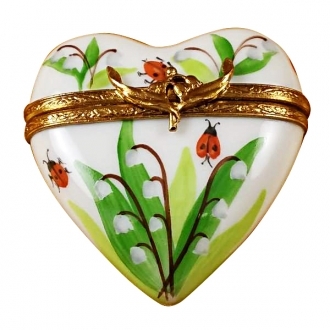 The heart shaped Limoges boxes are very romantic. 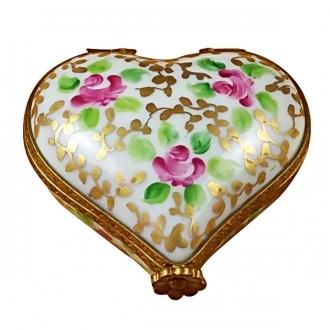 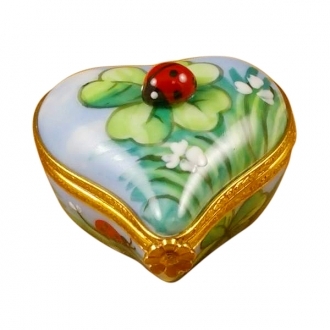 You will gladden your partner’s heart when you choose one of these Limoges boxes as a gift. 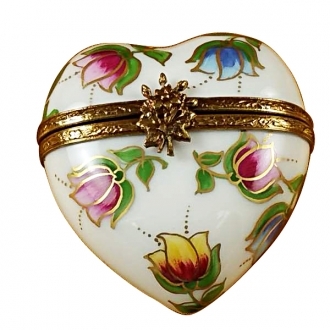 This heart shaped Limoges box is a handmade item. 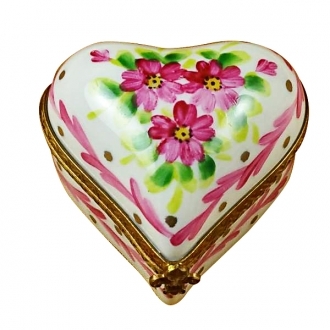 It is a white Limoges box with pink and gold hearts painted all over it. 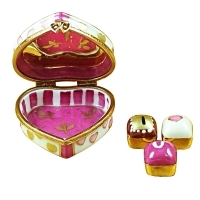 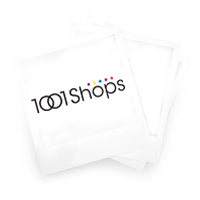 The pink and white ribbon tied over it makes it an excellent gift item. 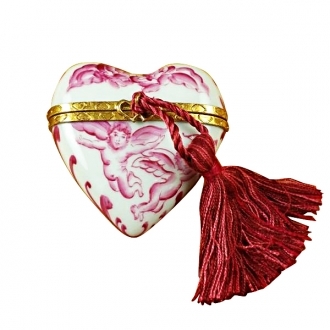 Three chocolates also come with the Limoges box. Measurements: 2" х 2" х 1.25"